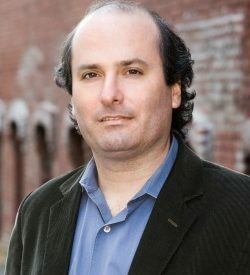 TONKAWA — Best Selling Author David Grann will appear at Northern Oklahoma College Tonkawa Oct. 17 as part of the NOC Lectureship Series. Tickets for the dinner are sold out, but Grann’s lecture will be livestreamed to the Kinzer Performing Arts Center at NOC Tonkawa. Tickets for the livestream event are free, but should be reserved from the NOC Community Development Office in the Vineyard Library/Administration Building at NOC Tonkawa. Call 628-6214 for more details. The event is sponsored by the Carl and Carolyn Renfro Endowed Lectureship Program, Northern Oklahoma College and the Native American-Serving Nontribal Institutions (NASNTI) Cultural Engagement Center located in the Vineyard Library at NOC Tonkawa. Grann’s most recent book, “Killers of the Flower Moon: The Osage Murders and the Birth of the FBI,” was on the New York Times nonfiction bestseller list more than 30 weeks and was a finalist for the National Book Award.